Axon Optic's Spectrashield FL-41 Glasses block the light that has been implicated in triggering migraines & light sensitivity. to provide natural relief to those who suffer from migraine headaches and general light sensitivity. The FL-41 lenses have been shown to block the light known to exacerbate migraines so that users can enjoy time outdoors and be around bright lights without suffering from migraine symptoms. SpectraShield™ FL-41 lenses are a rose colored light filter that has been found to be useful in patients with migraine headaches and other light-sensitive conditions. Some of the leading research on light sensitivity is being led by neuro-ophthalmologist and one of the founders of Axon Optics, Dr. Bradley Katz, out of the Moran Eye Institute at the University of Utah. This ground breaking research has re-introduced many light sensitive sufferers back to their own lives. Dr. Katz is actively involved in continuing research on light sensitivity and FL-41. 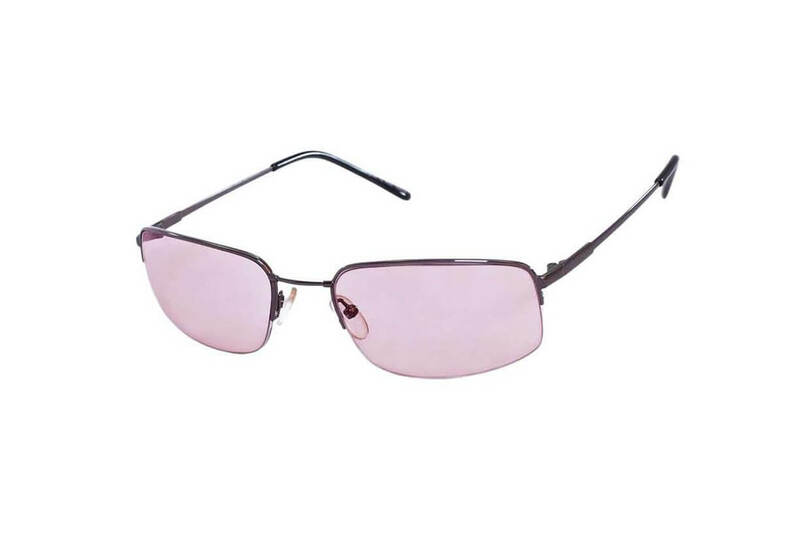 Axon Optic’s Spectrashield FL-41 is a specially designed rose colored lens that blocks the light that has been show to trigger and aggravate migraines and other light sensitive conditions. The FL-41 lenses can be applied to most type of eyegalsses (both prescription and non-prescription) and the company recently released FL-41 contact lenses. Those who have light sensitivity and migraines may find that our FL-41 tinted glasses can make a tremendous difference – particularly for bright lights, fluorescent lights, and sunlight. Many migraine sufferers take preventative medications to treat their migraines, but this may result in rebound headaches. 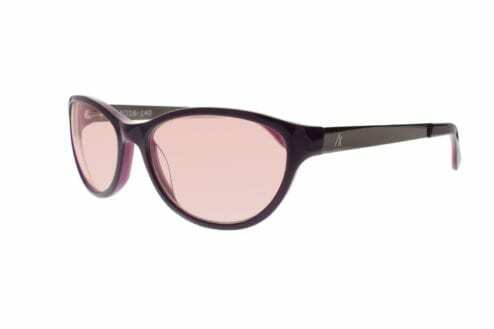 Axon’s FL-41 glasses are one of the most effective natural remedy for people who are sensitive to light. Axon Optics created SpectraShield™ FL-41 glasses to provide a natural migraine relief to those who suffer from migraines and other light sensitive illnesses. 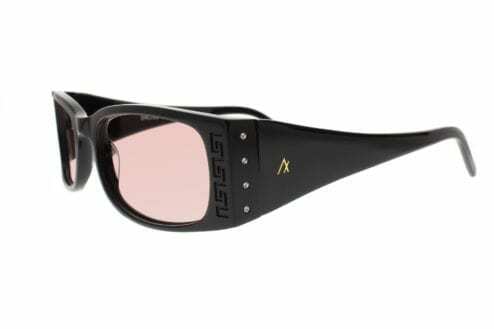 These migraine glasses block out the harsh light which has been shown to trigger migraine headaches. 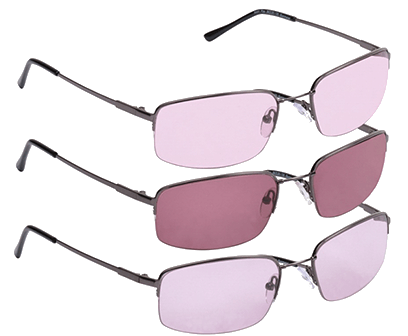 Wearing FL-41 tinted lenses can reduce both the frequency and severity of migraines. 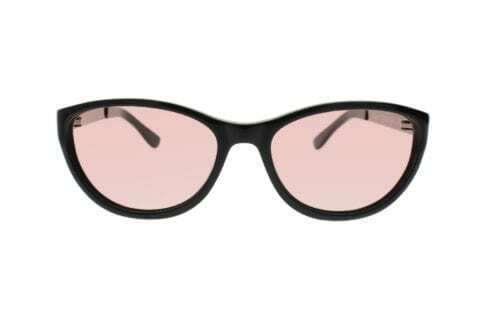 FL-41 tint can be applied to just about any lens so you can find migraine relief simply by putting on your favorite pair of glasses. When you order a pair of Axon Optics glasses, rest assured they will come our a state of the art, proprietary FL-41 lenses. Having now made two orders from Axon Optics, their customer service surpassed my expectations. Axon always kept me up to date with my orders and were very helpful answering my questions. I highly recommend them! The tinted contacts have enabled me to work in fluorescent light, despite having light sensitivity. They are extremely effective and so comfortable. I have worn my first pair for a full year and they've been fantastic! The first time I put on my glasses the relief was nearly instantaneous. I was happily amazed and thankful that there was something that could correct my photophobia. I have the indoor tint. I get 2 to 4 migraines a week and these glasses have made it easier for me to function in fluorescent light or bright natural light. I used to have a headache pretty much every Sunday/Monday from the fluorescent lights and from glare reflecting off doors and windows at church. Sometimes I started hurting within the first few minutes of arriving. Wearing these glasses protects my eyes, and now I come home feeling much better than I used to. Very helpful. I've suffered from light sensitivity for five years. It wasn't a cure but rather, it is one more tool for me to use to protect my eyes. Also, they are very well made. These best migraine gifs really show what migraineurs go through. How Do I Know if I’m Having a Migraine? Does Medicare Cover Migraine Treatment? Can an MRI Scan Diagnose Your Migraine? Marijuana and Migraines: Who Knew? Help! How can I tell if my Transitions have Axon Optics therapeutic tint? Are you currently logged into Facebook? If so, check out how this couple spent a sweet Valentine’s Day at the beach. Post by Axon Optics. Many friends and members of our Axon Optics Family suffer from Dystonia. Dystonia is a neurological movement disorder, in which sustained muscle contractions cause twisting and repetitive movements or abnormal postures. Please help us raise awareness for Dystonia by sharing this video. Thanks! Polarization or Transitions with my Axon Optics Light Sensitivity Lens? WOW! TIME Magazine’s Online Edition Mentions Axon Optics as one of five ‘weird’ migraine treatments. Weird? We’ll take it! 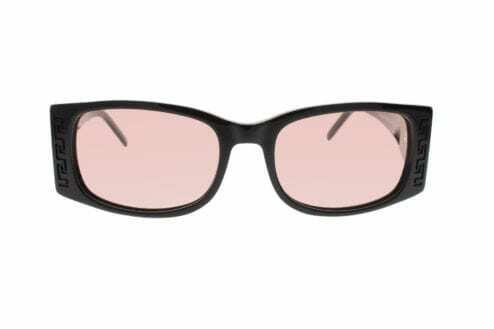 Our tinted lenses are an innovative approach to the treatment of migraines and other light-sensitive chronic illnesses. Read the Article Here. What is light pollution and how does it affect me? Axon Optics Migraine Glasses featured at "Innovation Idol: Superhero Edition"
Do You Have Migraine Eye Symptoms?